With the number of road deaths 10 times greater than deaths in all workplaces added together, the road network needs the same systematic approach to measuring and managing risks as that taken by other industries, a road safety charity has said. The Road Safety Foundation (RSF) has published Making Road Travel as Safe as Rail and Air, an analysis of crashes on Britain’s network of motorways and A roads outside urban cores. The report reveals that for the first time the South East is the area with highest rate of death and serious injury on the network, with risk over 80% higher than on the network in the West Midlands, the English region with the lowest rate of death and serious injury. 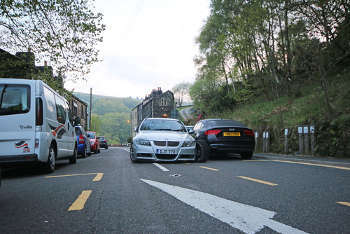 The report argues that travelling on the country’s road system ‘could be made as safe as on rail and air within a generation’ and calls on Government to invest in proven measures to deliver safer infrastructure and tackle unacceptably high risk roads. RSF chairman Lord Whitty said: ‘This report identifies the authorities with high costs from road crashes, and shows how risks can be reduced and lives saved with economic returns that are higher, quicker and more certain than from most projects competing for funds. This year’s 'most improved' road is the A227 between Tonbridge and the A25 near Borough Green, while England’s most improved strategic road is a 13km section of the A1 near Newcastle. Kent County Council, which is responsible for the A227, has introduced a routine maintenance regime. The RSF said that, in addition to a signing and lining package, there are yellow backed signs in hazardous locations, good use of double white lines, speed limit roundels and road safety education packages. England’s most persistent high risk road is the A285 between Chichester and Petworth in West Sussex, a rural, winding road popular with motorcyclists who account for 39% of crashes causing death or serious injury. The Road Safety Markings Association (RSMA) said better markings were cited in six of the top 10 most improved roads. RSMA chief executive George Lee said: ‘Major engineering solutions such as converting to a dual carriageway or adding a central crash barrier may cut head-on collisions, but the cost of such measures can be beyond the reach of squeezed budgets. The data used in the report was commissioned from TRL Ltd and covers 2012-14.